How women shared medical knowledge in the 17th century. In the first of a series on the myths and fables that inform the world’s civilisations, a tragic tale of hubris. Founded in Oakland, California more than half a century ago, the Black Panther Party’s revolutionary image and legacy remain as political and racially divisive as ever. The break with Rome set England apart from continental Europe. It was born of personal desires rather than matters of principle. The conflicts that devastated Renaissance Europe were justified by ancient ideas rooted in natural law and Christianity. Though replaced by legal frameworks for the conduct of war between states, the killing continues. The notorious highwayman was hanged on 7 April 1739. David K. Niles worked in the shadows of US presidents. He also helped save their administrations. ‘Socialism with a human face’ came head to head with the realities of Soviet communism. We will find it ever harder to navigate the past if we lose touch with the myths, legends and religions that helped shape it. The historian of Roman literature on Augustus’ funeral and the world’s best museum. Norse travellers reached every corner of the known world, but they were not tourists. 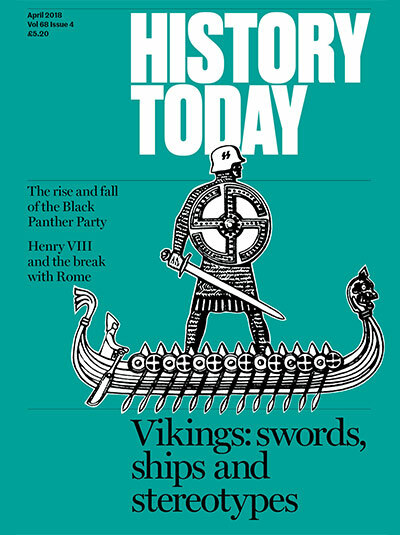 The ‘racially pure’ Vikings of stereotype were, in fact, cultural chameleons adopting local habits, languages and religions.